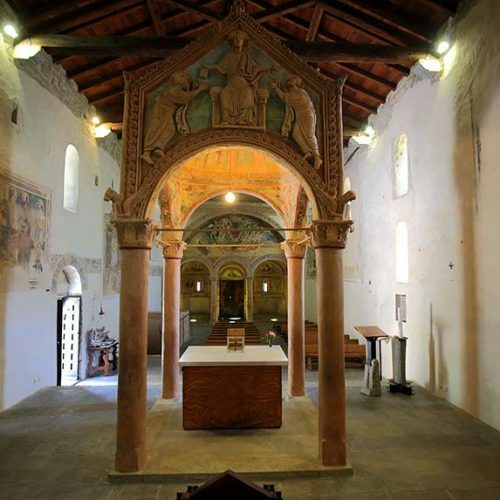 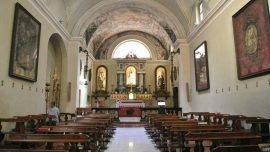 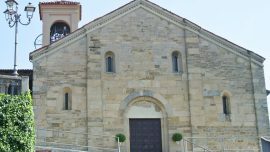 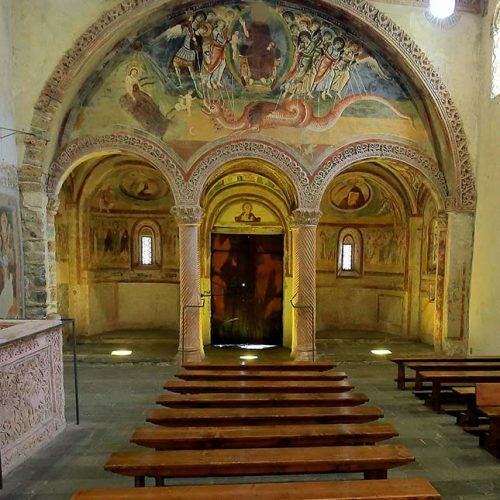 The Basilica of St. Pietro al Monte and the belonging oratory of San Benedetto, on Cornizzolo’s slopes, are a great artistic heritage of Romanesque in all Italy. 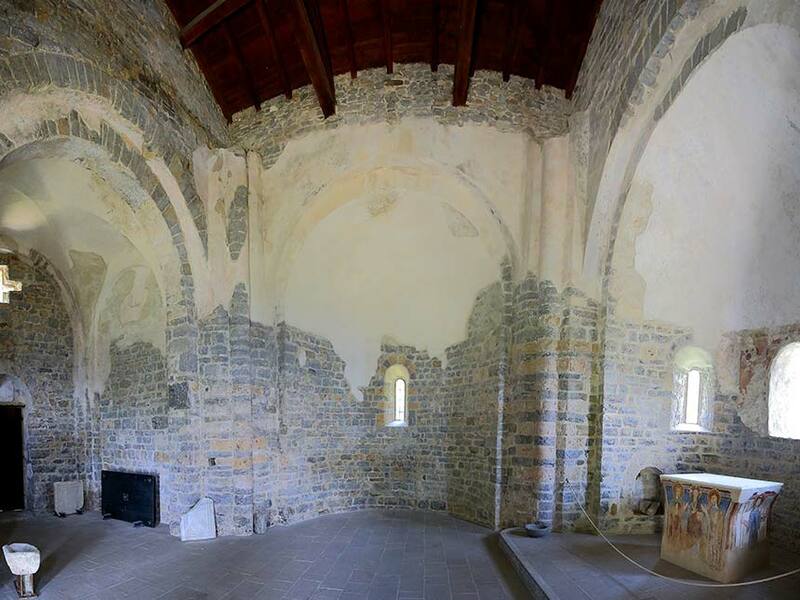 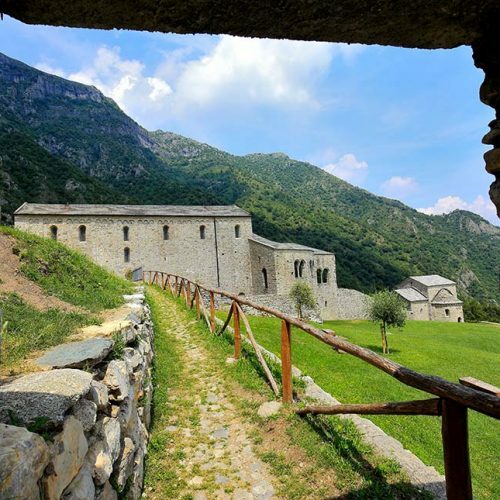 The monastic complex is located in a very evocative breathtaking environment. 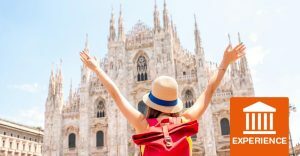 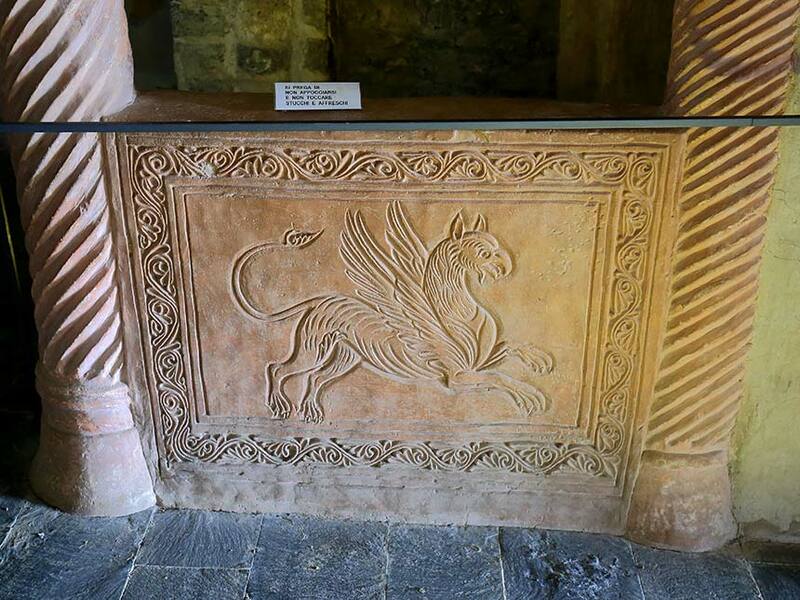 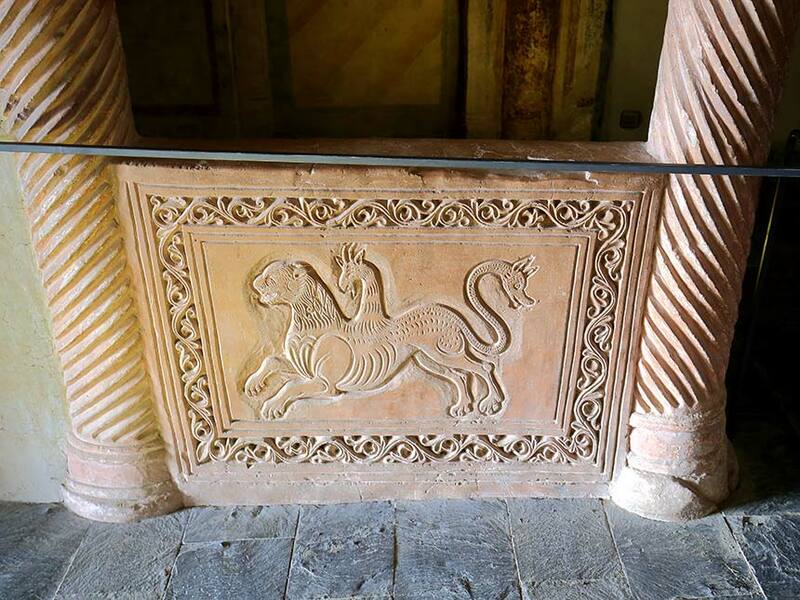 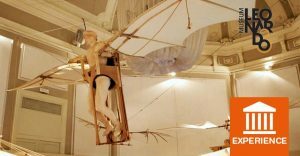 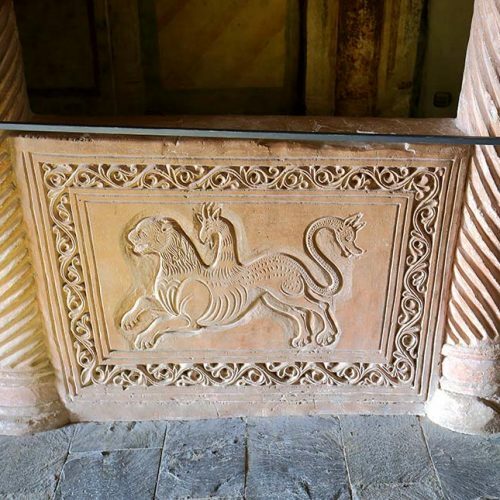 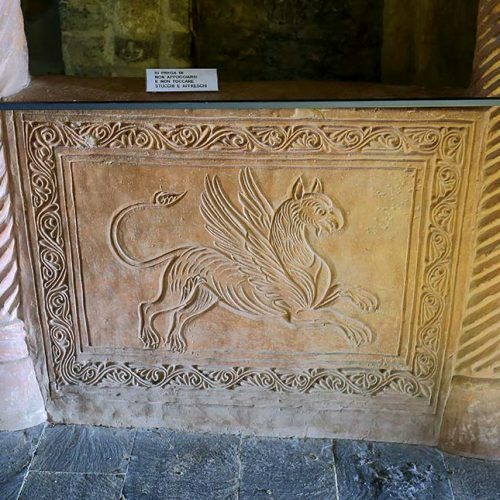 Its origins are not clear: the legend reports that it was founded by Desiderio, king of the Lombards, who liked to thank the God act who gave the sight back to his son Adelchi after he lost it during a hunt to boar on Cornizzolo. 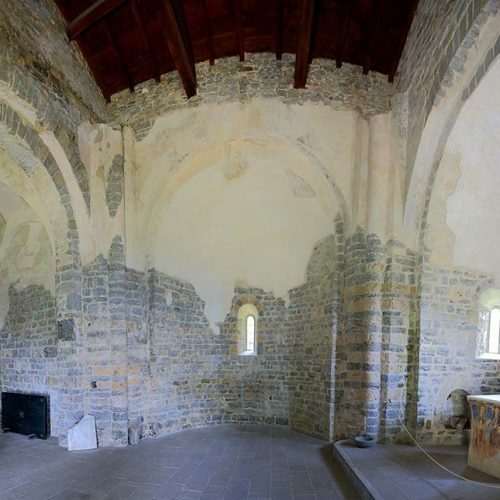 The structure, as we see nowadays, is the result of variations occurred during centuries, but it can be approximately dated to the second half of the 11th century. 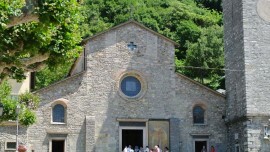 It has a unique nave with two opposite apses, even if not symmetrical, on east and west side. 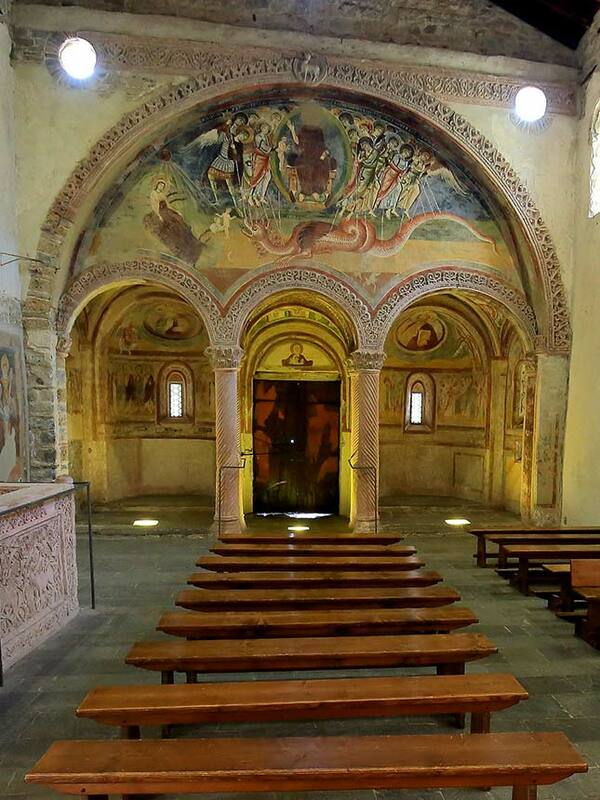 The eastern apse represents the entrance of the Cathedral, whose access is possible by stairway. 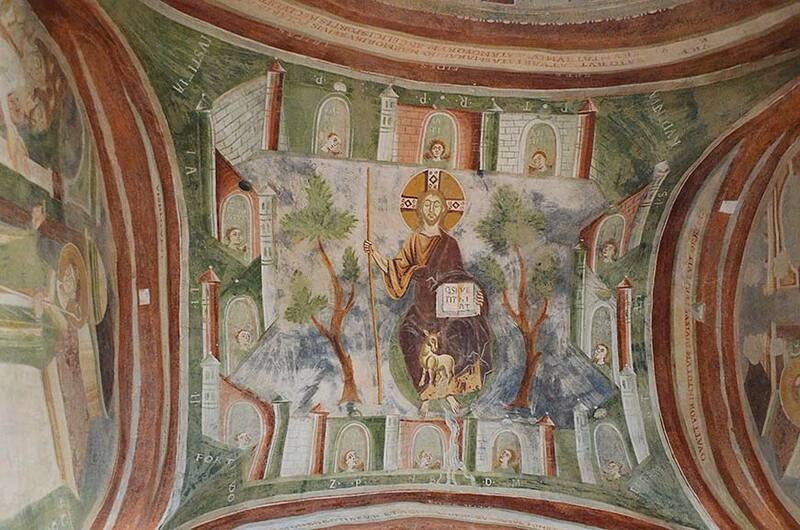 Several the frescoes hosted in the Basilica of San Pietro al Monte: “Traditio legis et clavis” (Christ, in the middle, gives the book of the Word up to St. Paul and the Paradise’s keys to St. Peter) greets visitors on the external entrance lunette, while on the internal one the fresco depicts a scene where Abraham embracing the righteous souls. 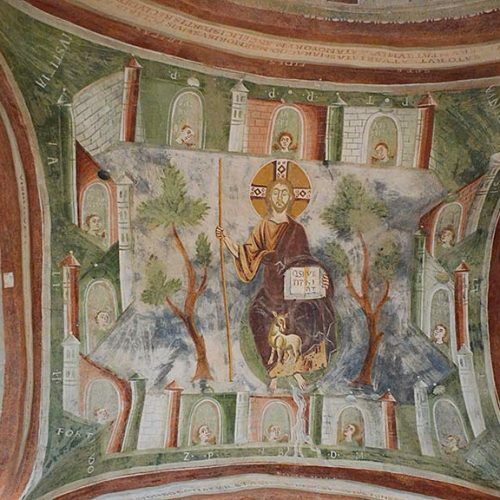 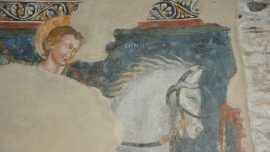 The cross vaults host frescoes depicting the Heavenly Jerusalem and the four Paradise’s rivers (Tigri, Eufrate, Nile and Ganges). 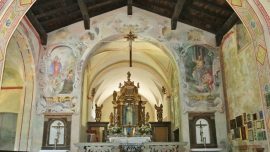 The focal point of the Basilica is its ciborium, having a particular structure very close to Basilica San Ambrogio in Milan, hosting stucco’s high relieves depicting some episodes of Jesus’ life. 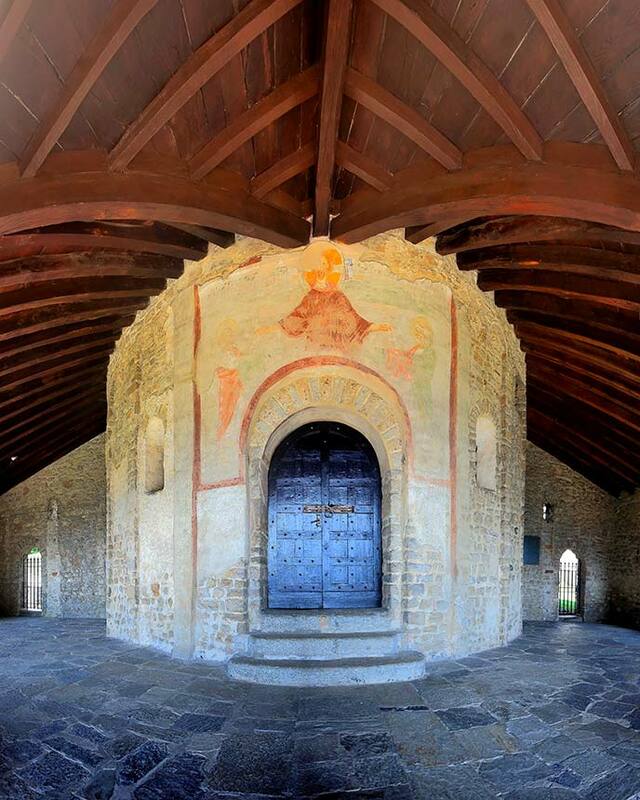 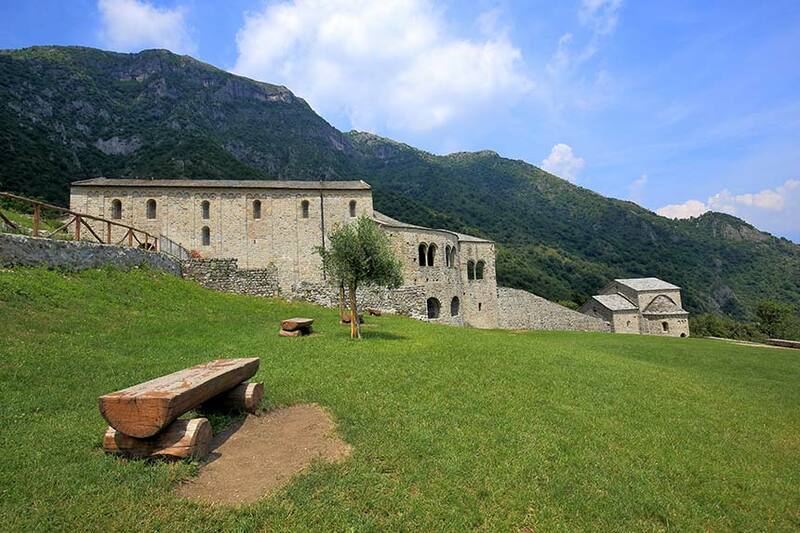 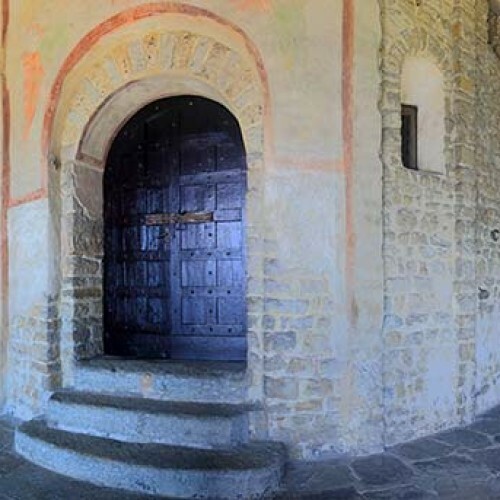 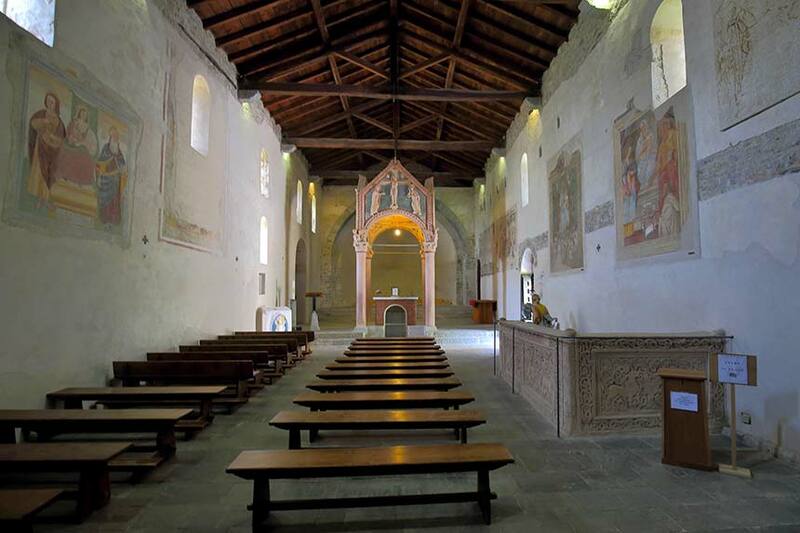 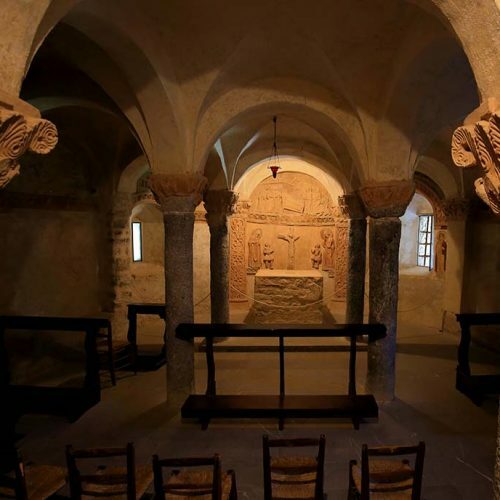 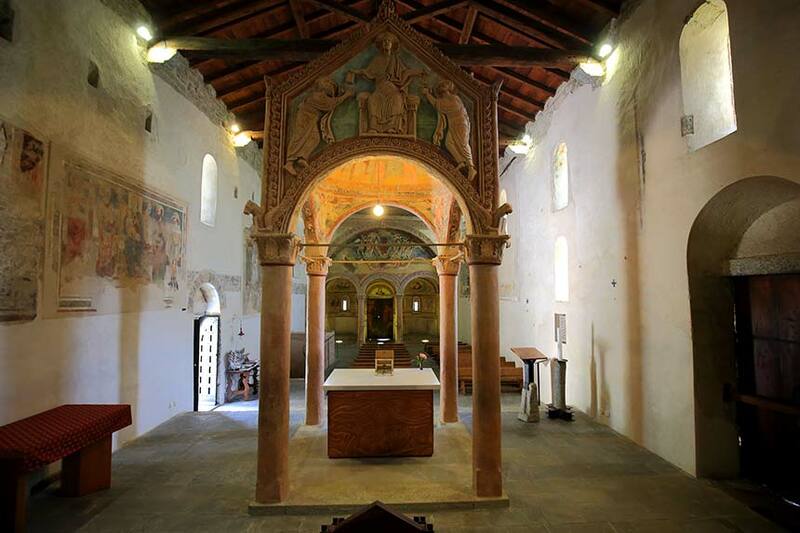 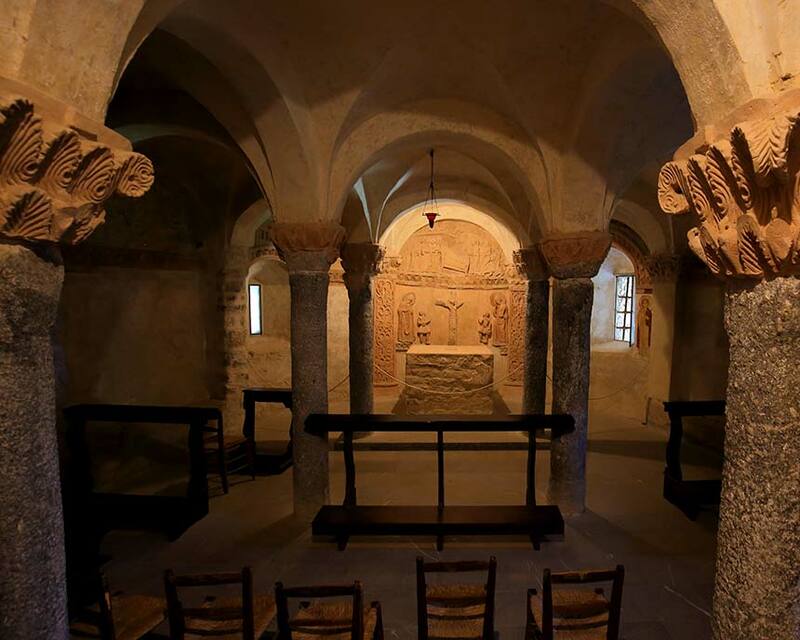 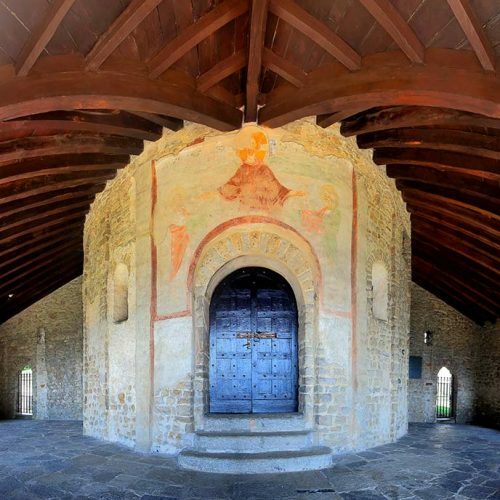 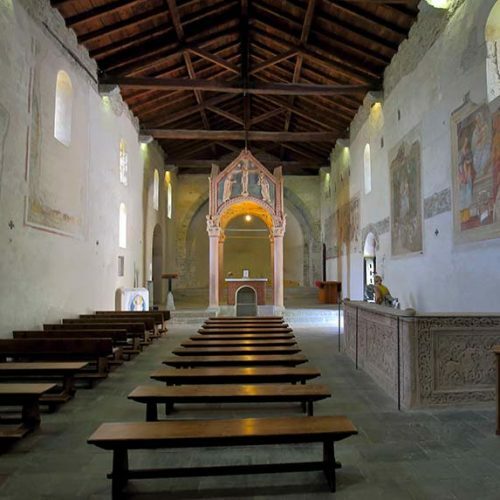 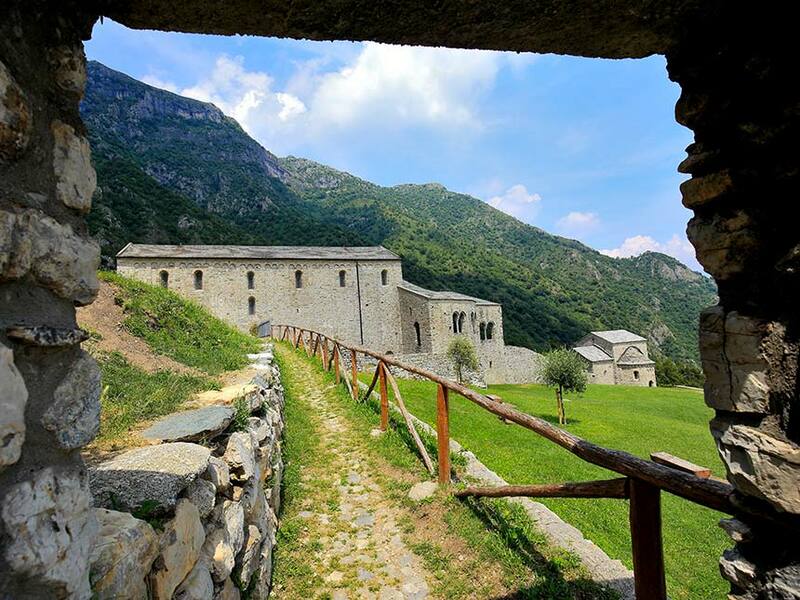 The monastic complex of San Pietro al Monte is a great heritage of Romanesque art in all Italy. 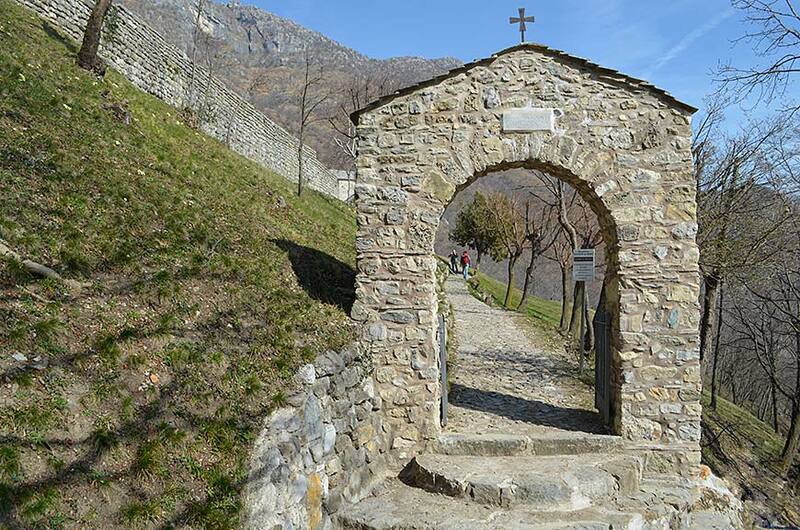 From there you have a breathtaking overview on a panorama including Resegone Mountain and Lake Annone. 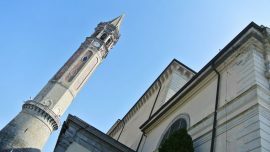 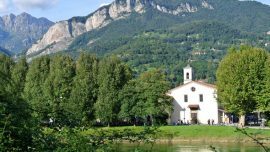 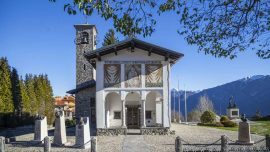 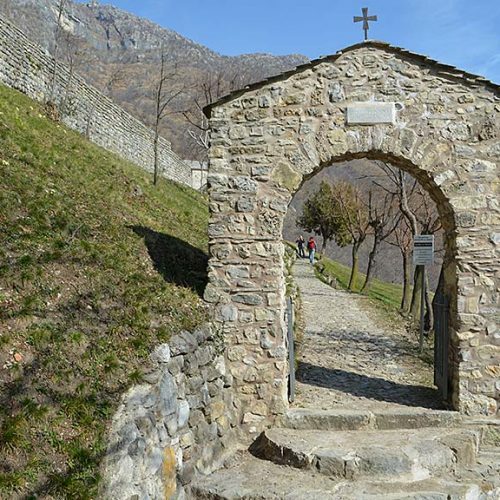 You can only reach the complex on foot from the town of Civate, just few driving minutes away from Lecco.